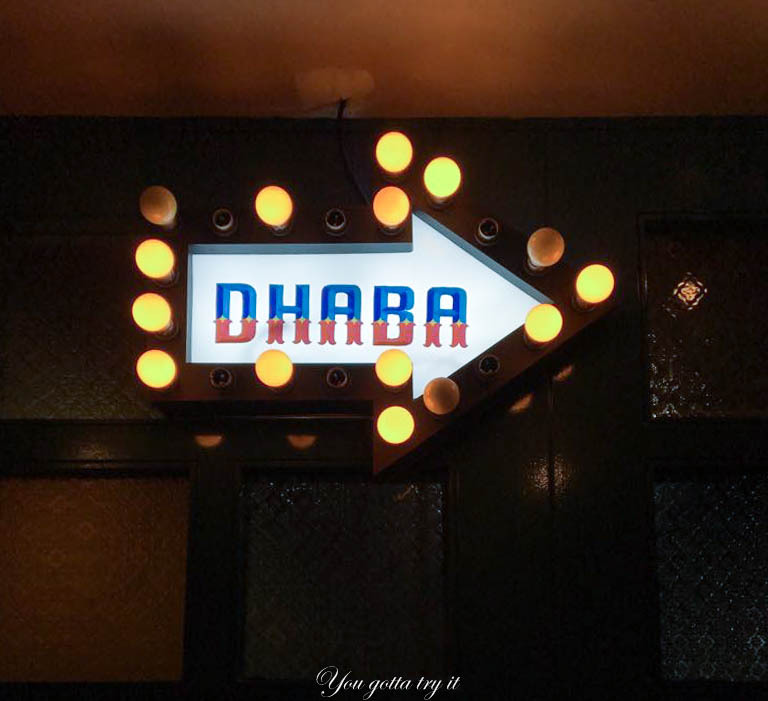 You gotta try it: Dhaba Estd 1986 Delhi brings Indian Highway cuisine for patrons at the Marathahalli outlet, Bangalore! Dhaba Estd 1986 Delhi brings Indian Highway cuisine for patrons at the Marathahalli outlet, Bangalore! 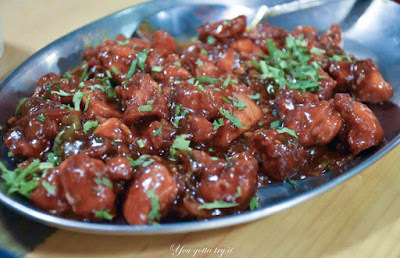 India is known for its diverse culture and cuisines. 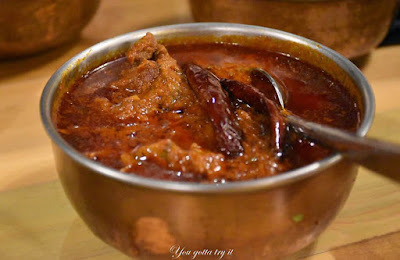 The regional flavors and cuisine changes with every 50 Km. From Kanyakumari to Kashmir NH (National Highway) connects people and food plays a key role when it comes to NH. 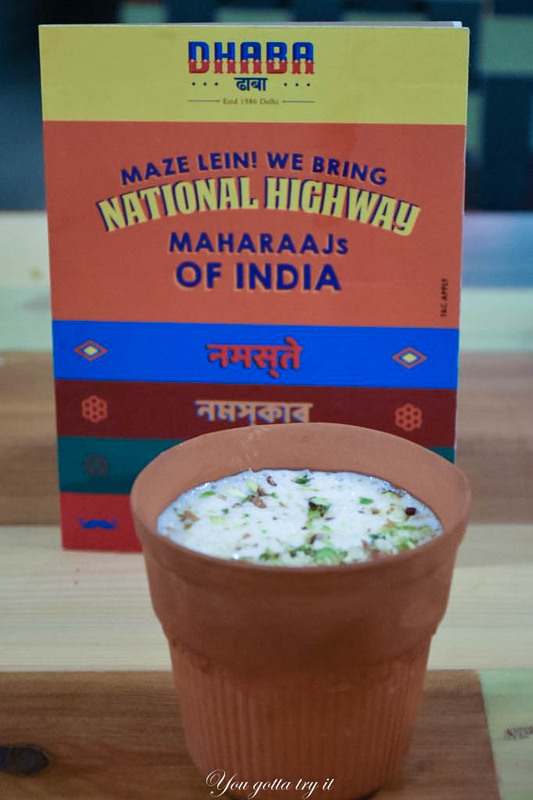 Dhaba celebrates this hot and sweet Khazaana of India by introducing Dhaba’s National Highway Maharaajs of Indian menu. 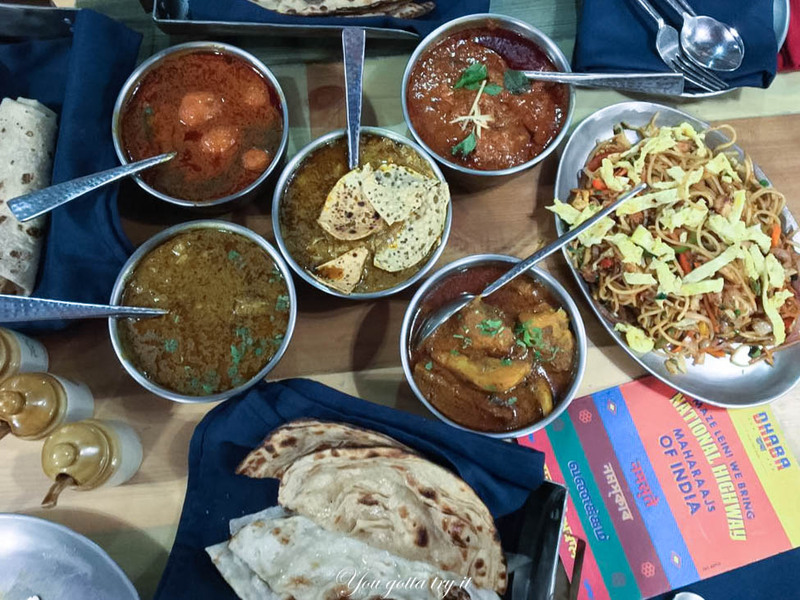 From Punjab’s favorite Tangdis to Rajasthani favorite Laal maas and Papad ki Sabzi and Gatta curry; from sweet Gujarati Daal to Kashmir’s favorite Rogan Josh and Dum Aloo, they have carefully created this NHMI menu for serious food lovers. 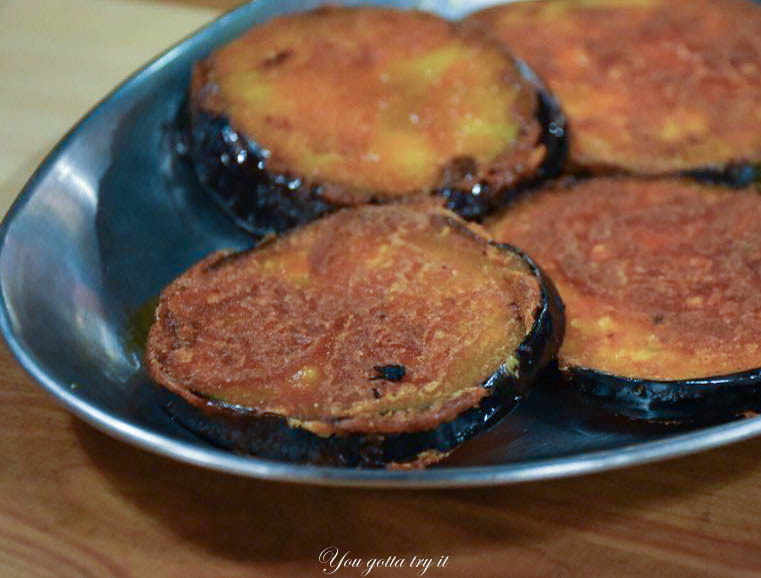 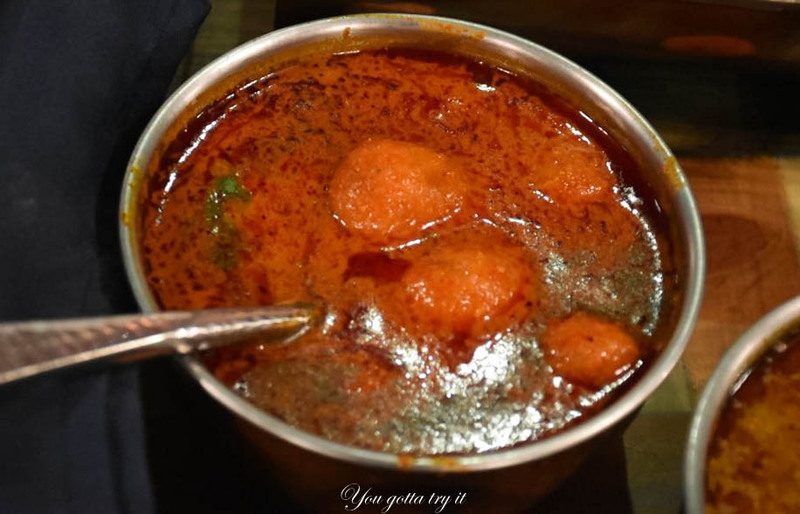 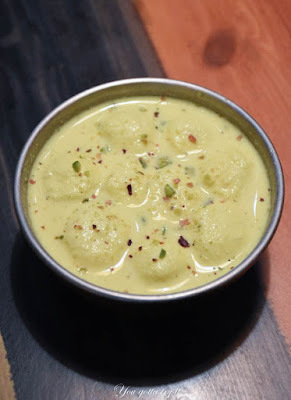 They have also clubbed Eastern India’s favorite fish recipes and also the popular Chinjabi (Chinese + Punjabi) dishes like Tandoori Chicken Momos and Manchurians with that spicy desi twist. 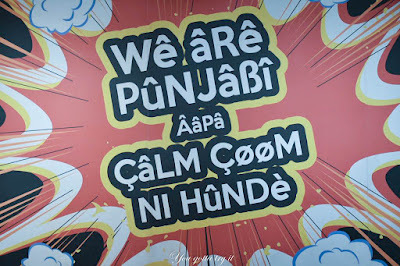 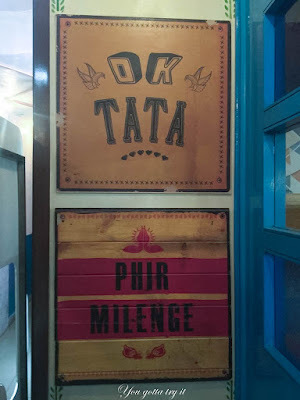 This was my first visit to Marathahalli outlet and as always this time also I was very much impressed with their vibrant interiors, and funny posters with catchy captions. 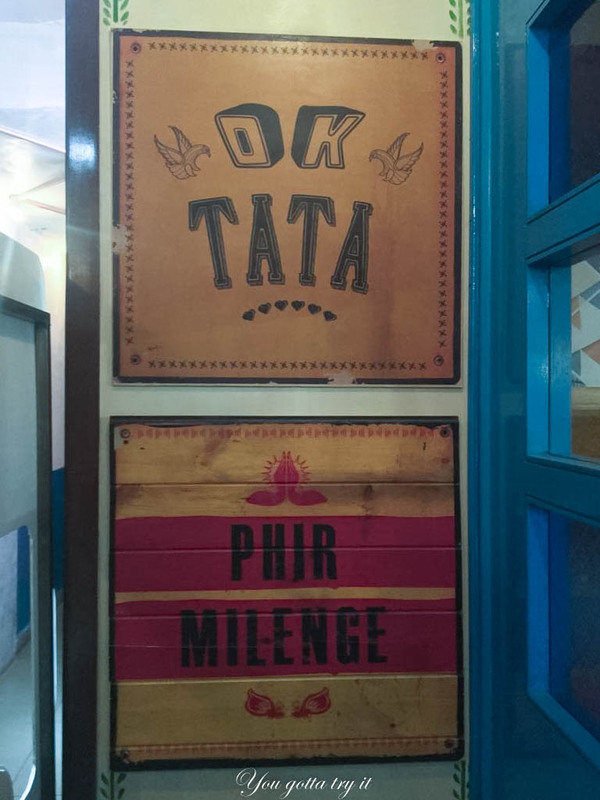 The staffs are very polite and helpful. 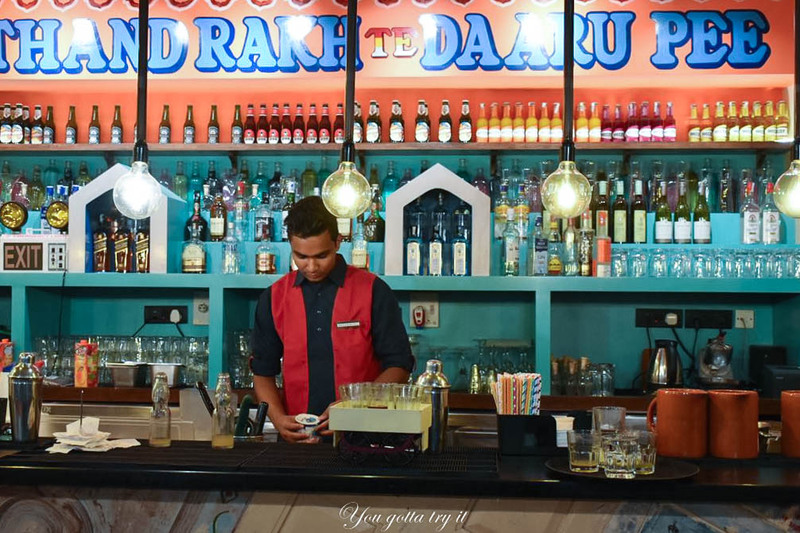 If you are lucky, you will see them grooving with some desi beats. This time’s experience was completely different from my last visit to Indiranagar outlet where I indulged in posh Paneer tikkas, Tandoori Raan and Dal Makhani. The new NHMI menu is simple and short. 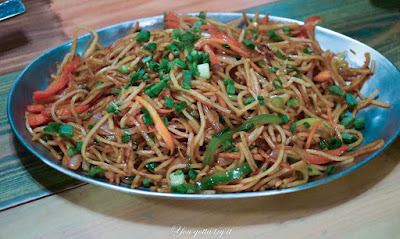 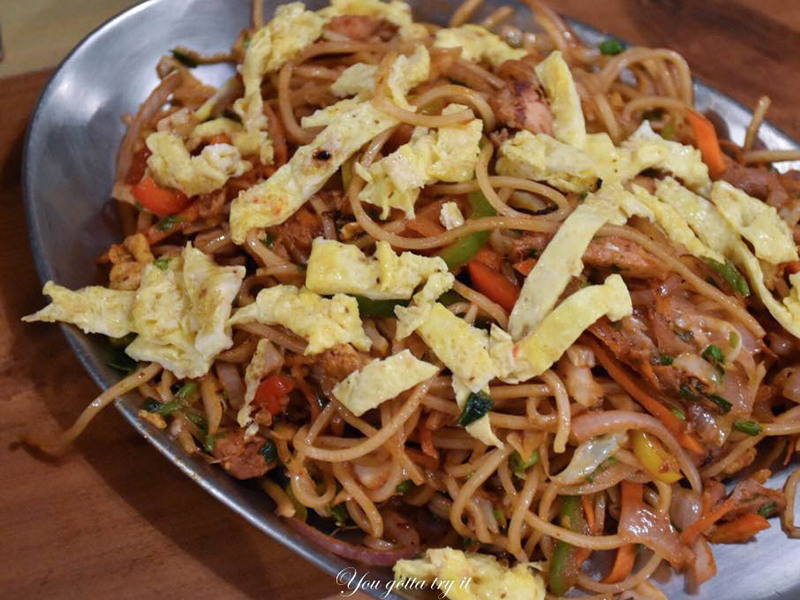 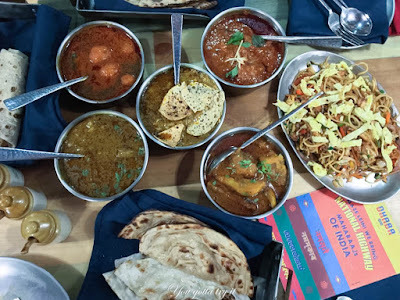 We tried almost everything from the menu and what I really loved is the Chinjaabi Manchurian (Chicken), Tandoori Veg Momos, Baingan Bhaja, and Chicken Chowmein. 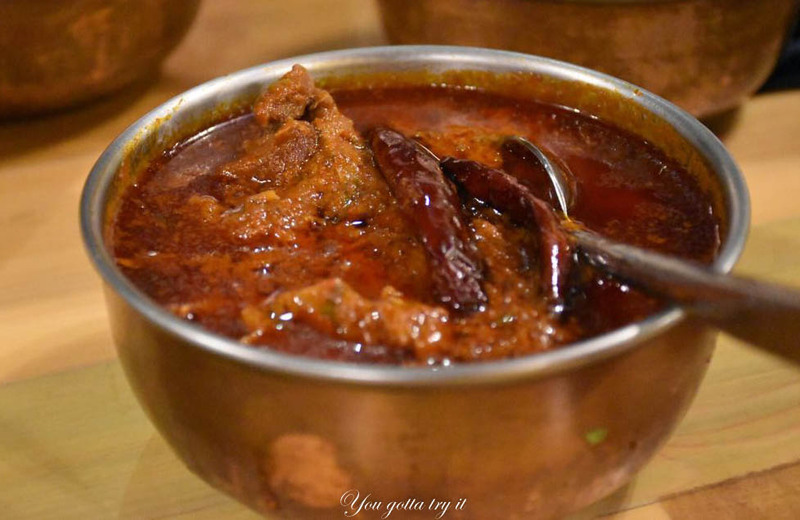 For heavy belting, we ordered some desi favorites like Gulmargi Rogan Josh, Dum Aloo Kashmiri, Jaipuri Papad ki Sabzi and fiery Laal maas, and Bangla special Macher Jhol along with hot Roti/Naans and plain rice. 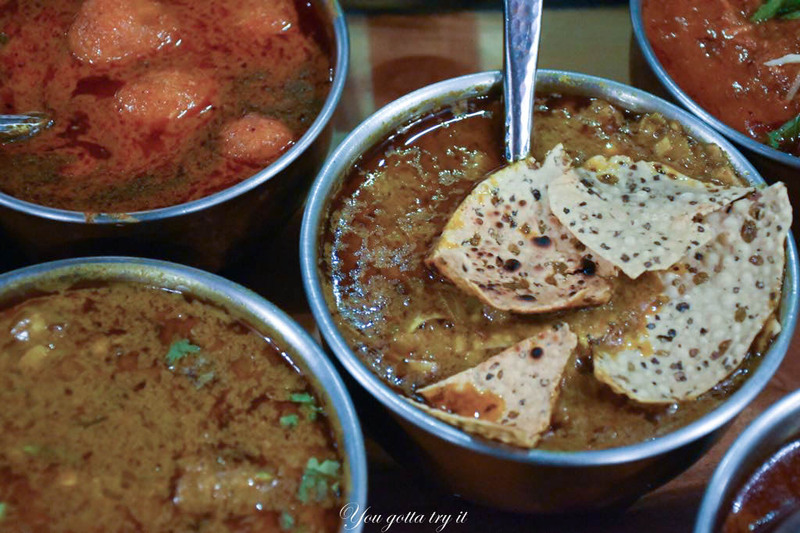 Whatever the menu is, a South Indian’s meal is incomplete without some piping hot rice. With only two options for desserts, it’s either this or that situation and we tried the Bangla special Rosogolla and Chenna Payesh. 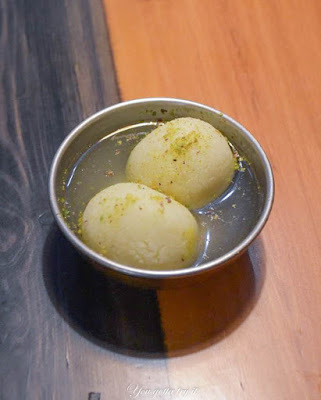 With the right amount of sweet quotient, both the desserts were exceptionally good. 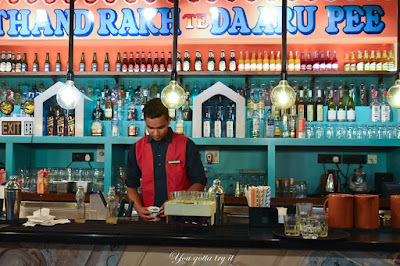 For Dhaaru shaaru (alcohol), you have to order from their regular menu. 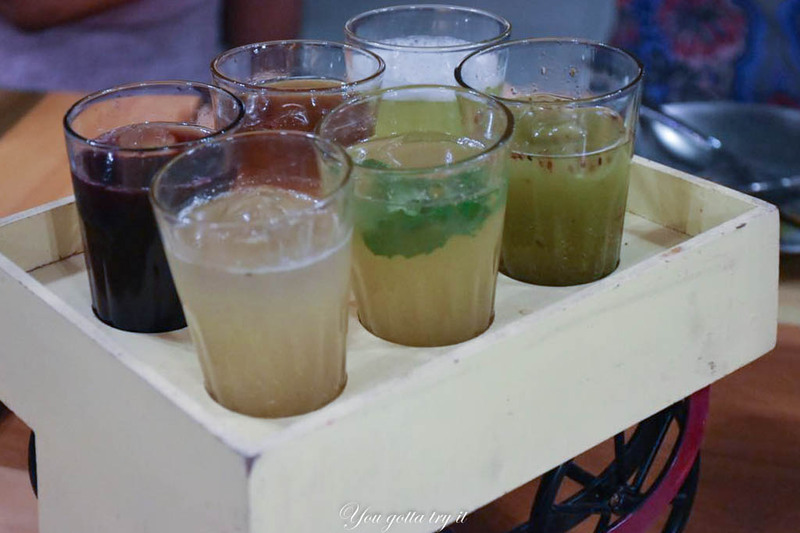 After trying some samples I opted for my favorite Aam Panna drink – Som Ras which was served on a vintage style Goli Soda bottle. 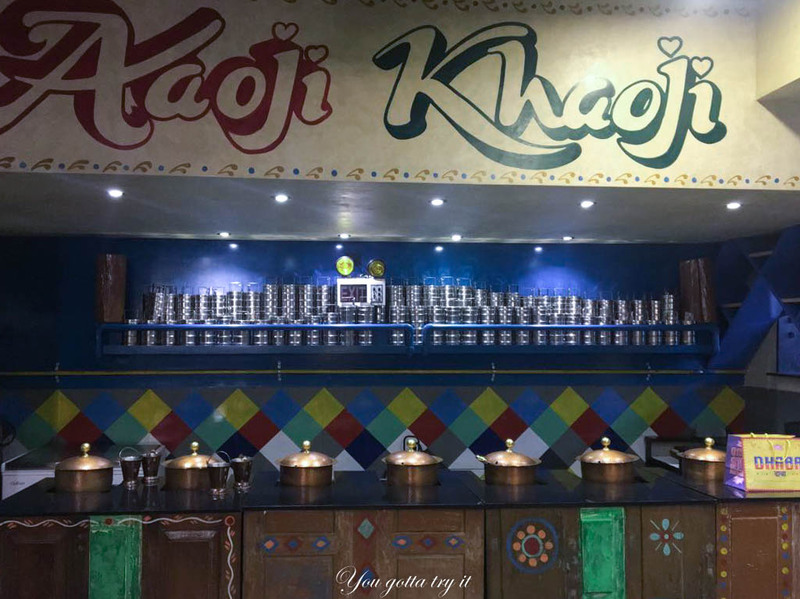 Their sweet lassi is also a must-try. 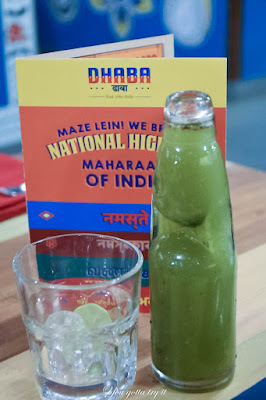 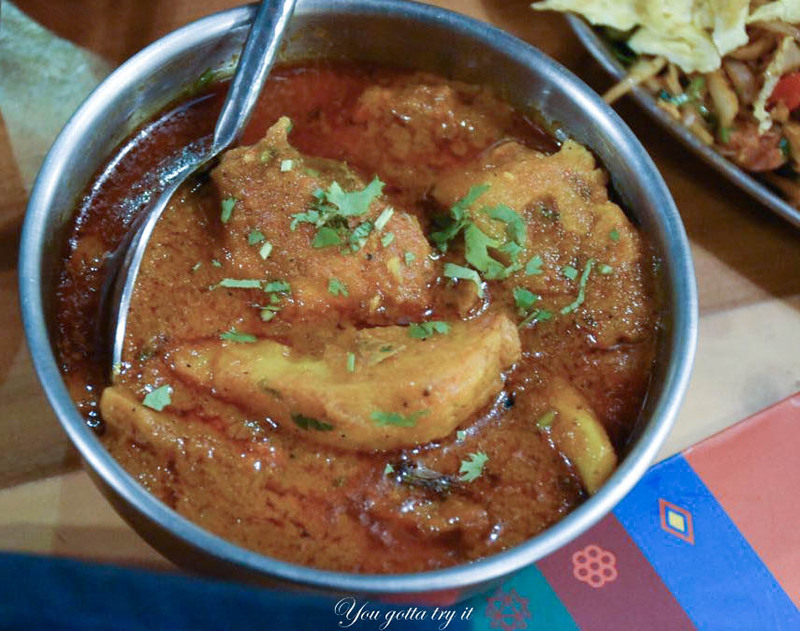 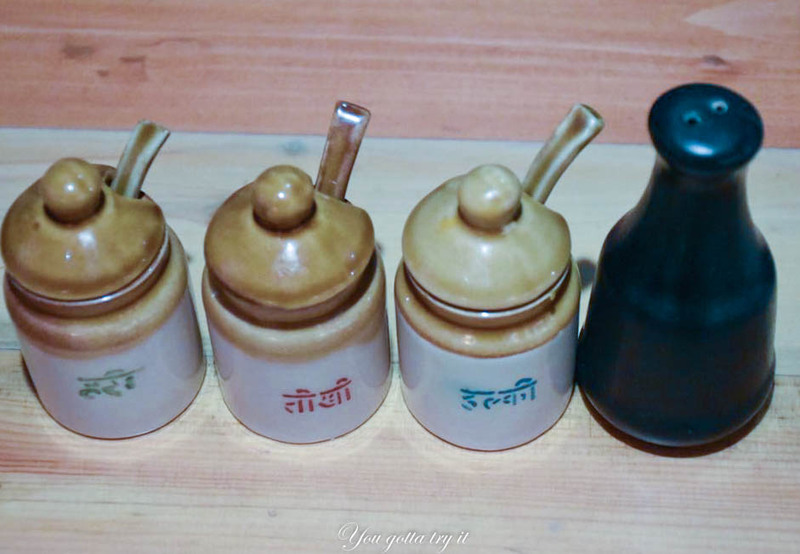 Overall I liked the NHMI menu and my experience at Dhaba Marathahalli outlet. 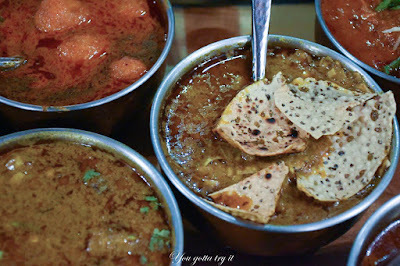 I would definitely go back soon to savor some of my favorites. A meal for two would be ₹1400 (approximately). 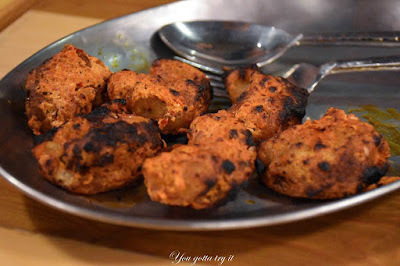 A weekend seafood fiesta at Sea Rock, Bengaluru!